Between careers in music, art and modeling that fling her all over the world, Caroline Vreeland is one busy babe. If your great grandmother served as informal fashion mentor to Jackie Kennedy, you’d have big Louboutins to fill too. Empress of Fashion AKA Diana Vreeland, fashion editor of Harper’s Bazaar and Vogue's editor-in-chief, passed down her creativity and keen eye to her great-granddaughter, Caroline. But more than impeccable taste and likely some vintage heirlooms, Caroline seems to have inherited great gram’s spirited intelligence, convention-shattering attitude and the drive to pave her own path. For Caroline, that path is music. You can hear her sound, which she describes as “moody and filled with a doomed magic” on collaborations with Florence and the Machine guitarist Rob Ackroyd, 30 Seconds to Mars or catch her playing live all over LA. She’s currently working on the release of her debut album, In Ruins. No matter what she’s up to, she’s always channeling her French legacy. If she decides to have a big night out, it’s usually in Paris. When she does her makeup, she likes it to look French—like she didn’t try. 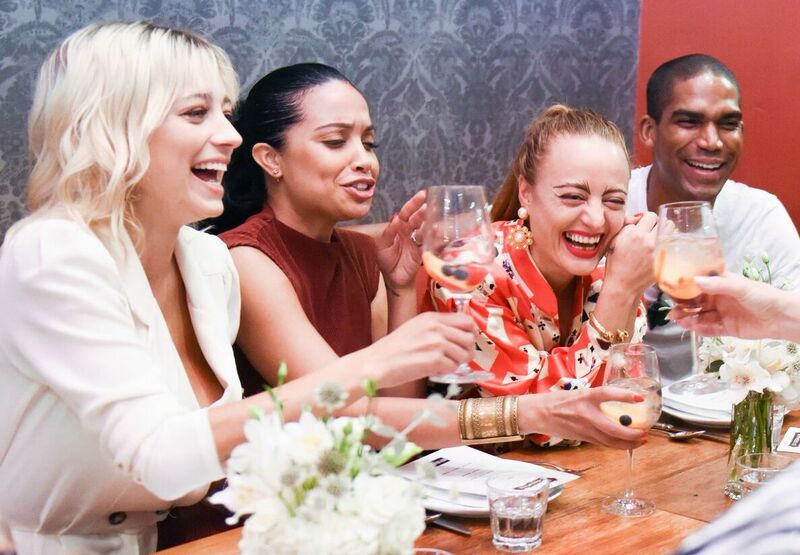 She squeezed in some time for us to talk all things French at Republique at the Moveable Feast: St-Germain Café Society Brunch—the first in this nationwide summer series of influencer brunches celebrating everyone’s favorite elderflower aperitif. Caroline + friends at Republique. Oh la la brunch cocktails. 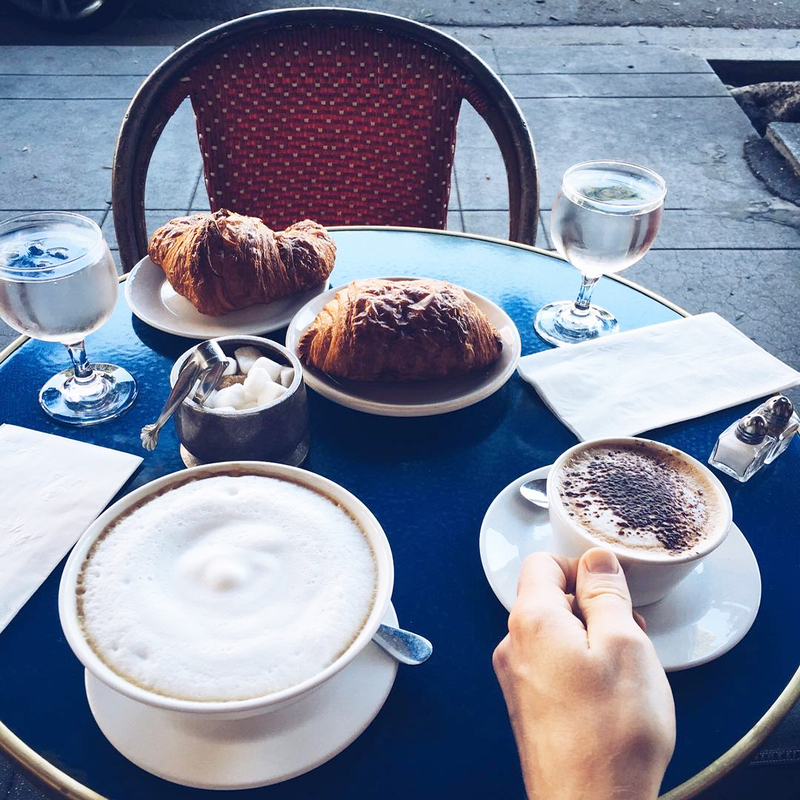 "I love both cities, Paris and LA, so much, so I love talking about where to find the French connection in LA," said Caroline at the St-Germain Cafe Society brunch. Vive la France. Vive LA! Caroline Vreeland: Intelligentsia. It's perfectly flaky and buttery. You always need a napkin when eating it—so you know it's good! CV: Cafe Stella. It's walking distance from my place so I spend way too much time there, outside on the patio, drinking Bordeaux, not smoking, meeting artists, reading my book and gossiping with friends. 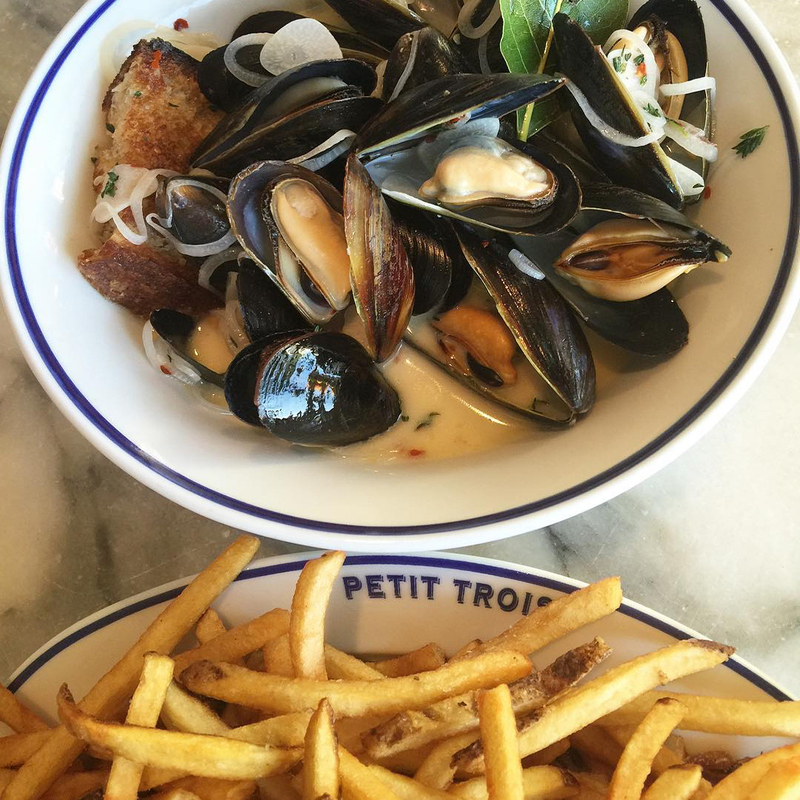 Best steak frites or moules frites? CV: Petit Trois. It's small and loud, which I love. Favorite place to drink rosé all day? CV: By the pool at Chateau Marmont. Where can we find the best French wines? CV: Lou Wine Shop & Tastings in Los Feliz. 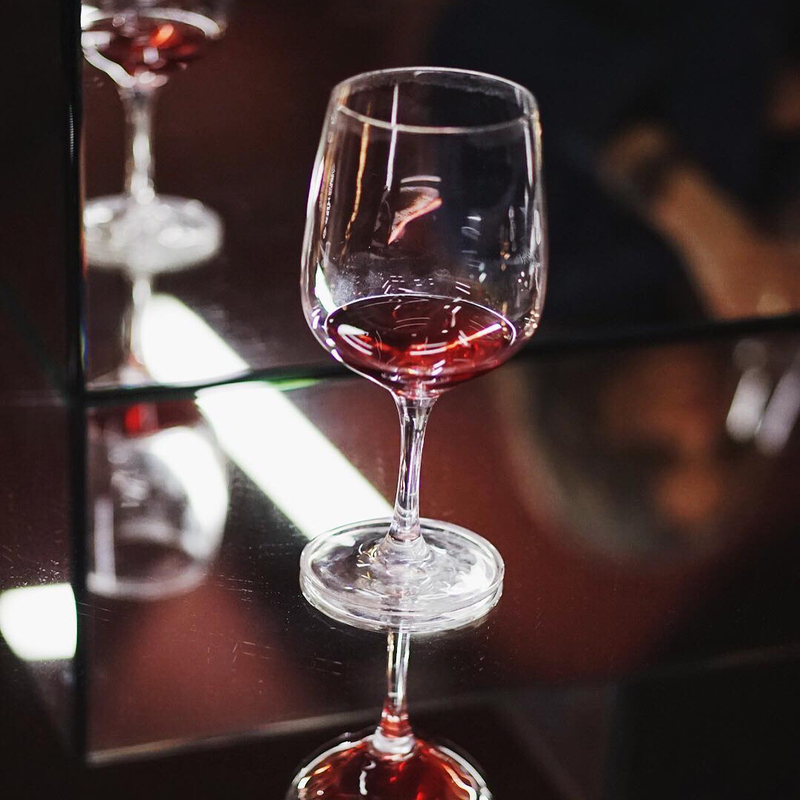 Not only do they separate the wines by region, they also select wines according to the occasion ("party," "Netflix and chill," "casual dinner," etc). Where do you go for French-designed fashion? Favorite museums or galleries that exhibit French art? CV: Well, now you've got me excited! 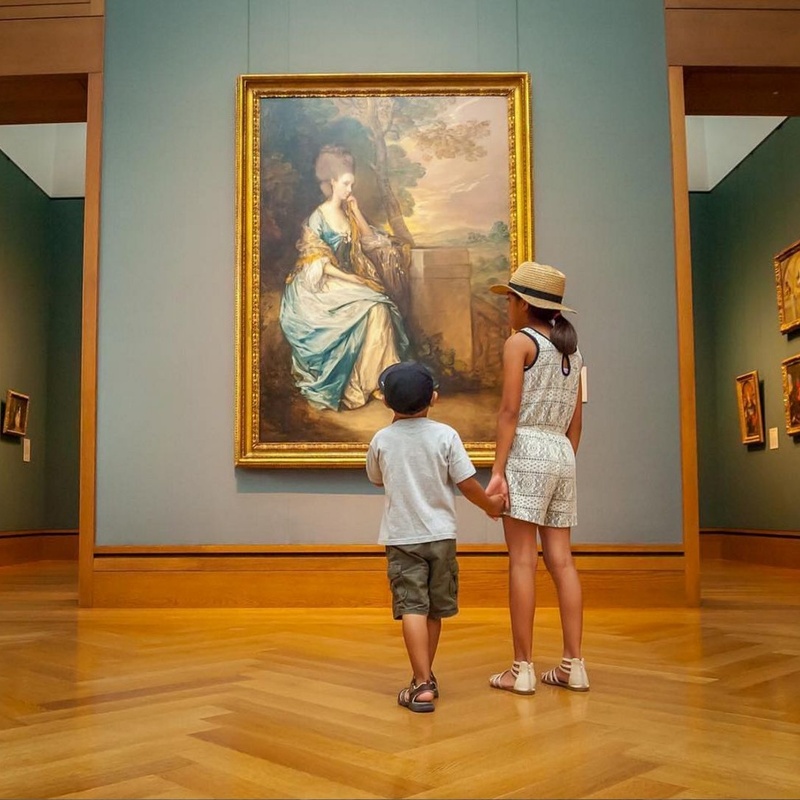 My favorite topic—other than French food, French wine and French fashion—is French art! LACMA has one of the most beautiful Matisse murals of flowers. He painted it on ceramic tile and it actually lived outside in an LA garden before finding its new home at the museum. 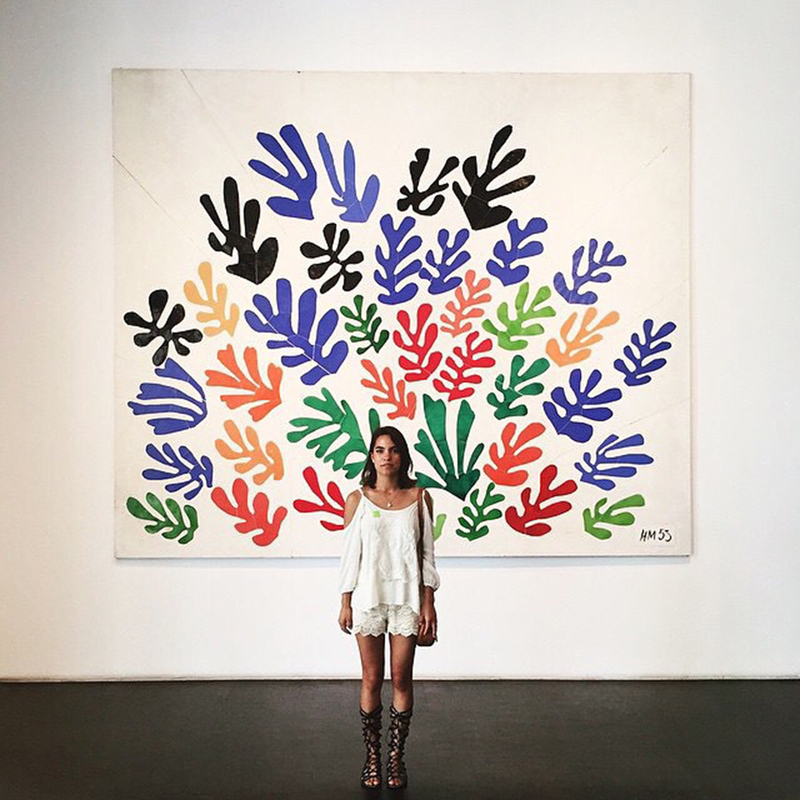 Imagine a Matisse outside in a garden! LACMA also exhibited the amazing contemporary artist Pierre Huyghe last year including a video piece which showed a real monkey in Japan wearing a human mask and serving people in a restaurant. MOCA Pacific Design Center has this amazing French director Philippe Vergne who I met at a dinner recently and who I find to be a delight. 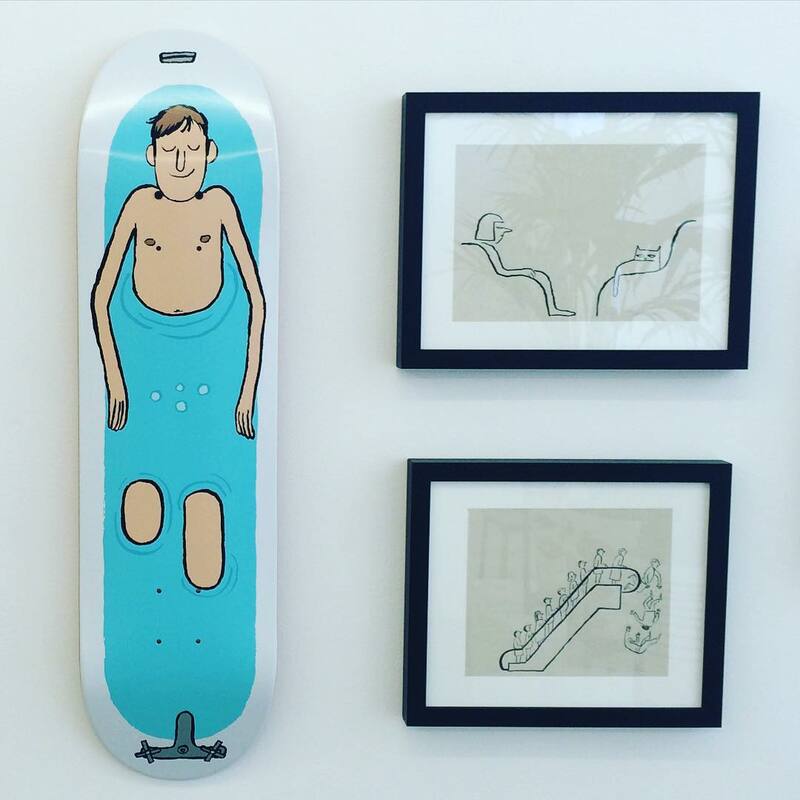 HVW8 Art + Design Gallery is showing amazing illustrators like Jean Jullien and Jean André. Martha Kirszenbaum has a space downtown too [Fahrenheit] where she shows all the coolest new artists among many French ones, like Laure Prouvost. Francois Ghebaly Gallery downtown has a beautiful gallery exhibiting great artists such as the French-Algerian Neil Beloufa. 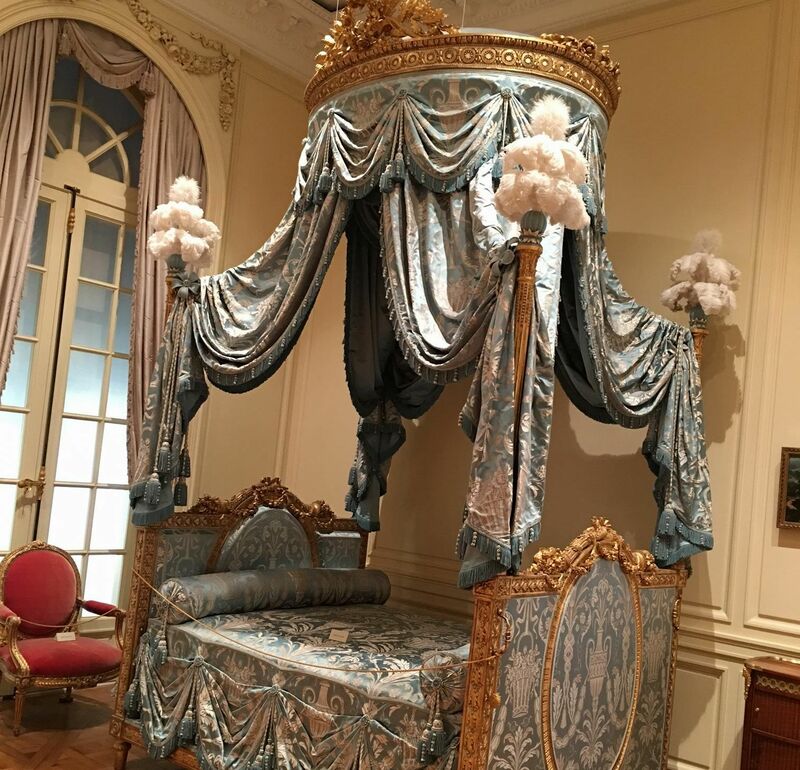 And at The Getty Center there is a decadent collection of French Louis XIV furniture. It's like visiting Versailles in a Richard Meier building! I found my new bed there, here's a photo of it. The scary part is I'm not kidding this is exactly how I think I should be sleeping. 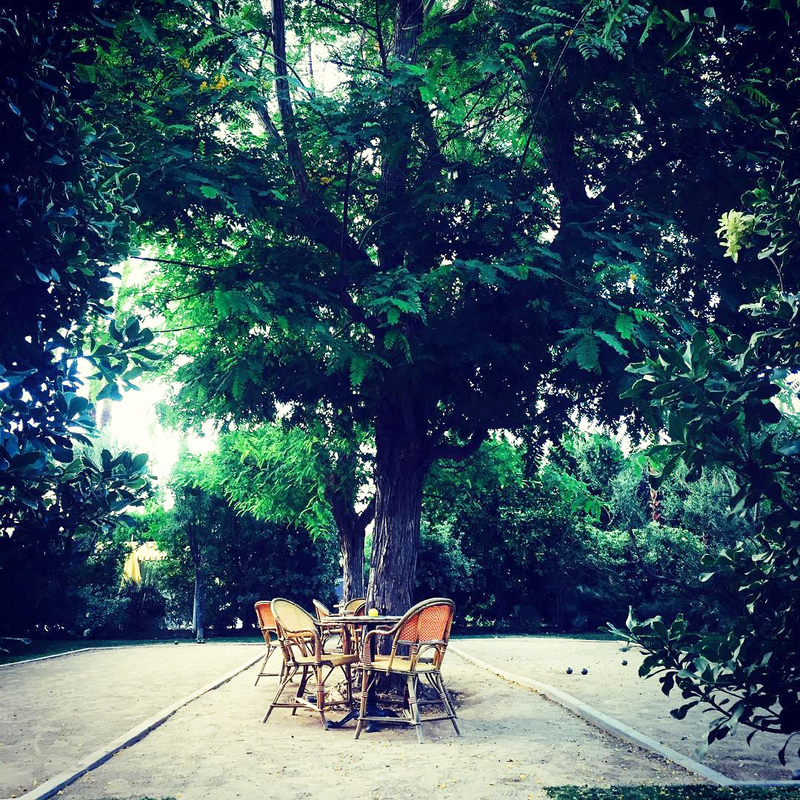 Where to find a good game of pétanque? CV: The Parker Palm Springs (a 2-hour drive from LA) has a hidden pétanque court surrounded by beautiful hedges and lemon trees. 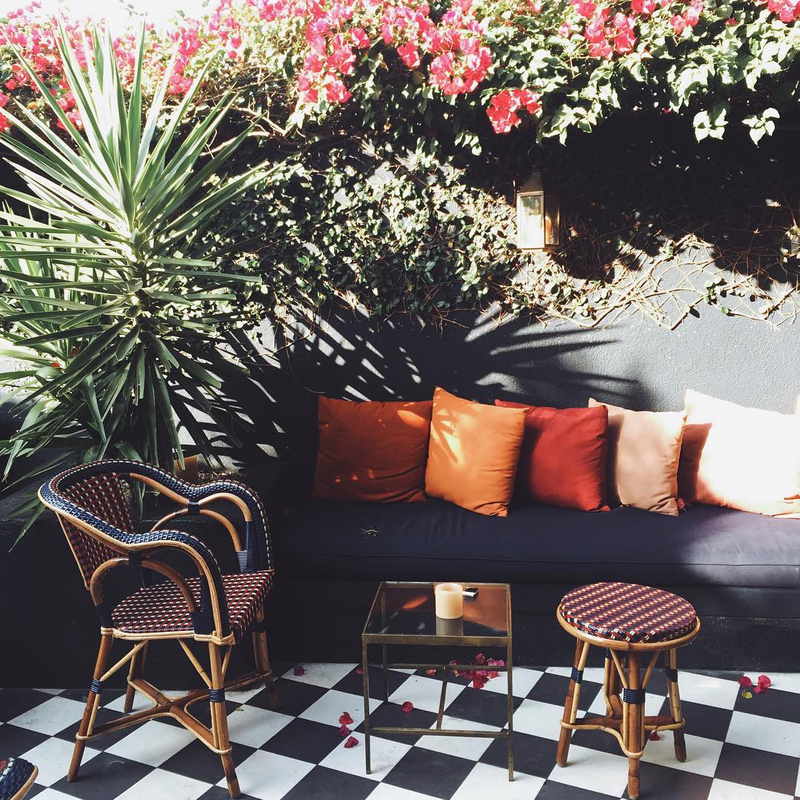 Where do you go for the 'Cafe Society' vibe in LA? How does living in LA influence your music? CV: I am inspired by the lovely, deep loneliness one feels in this city. 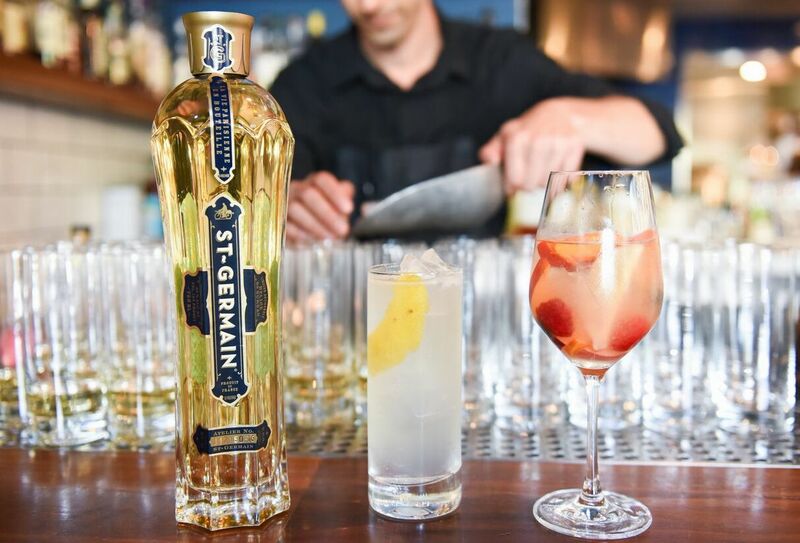 Favorite way to drink St-Germain? CV: My favorite way to drink St-Germain French elderflower liqueur is over sparkling wine with a lemon twist just as the sun is going down at Café de Flore in Paris while watching beautiful women smoking. 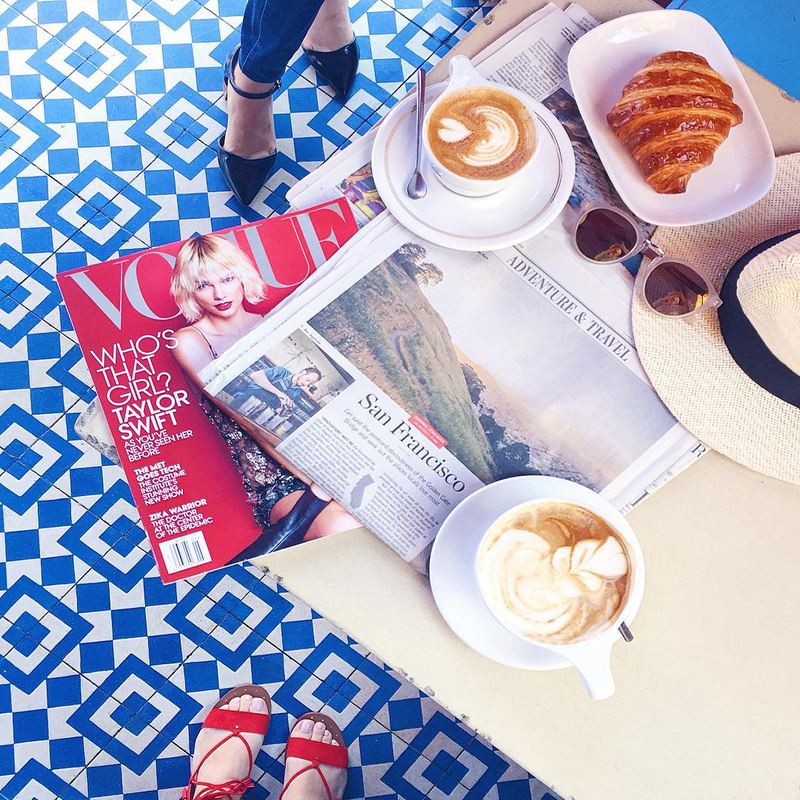 How will you celebrate Bastille Day 2016? CV: Well, my dear friend Emilien just taught me about the French tradition of Le Bal des Pompiers, and I'm so enchanted by it! In every French village to celebrate Bastille Day, the girls flock to the firehouses to dance with the firemen who hold a dance parties. How terribly romantic that sounds! So this Bastille day, I guess you can find me at the Silver Lake firehouse in a party dress with my girlfriends, knocking on the door demanding a dance. Refined, modern rooms on a chic, upscale resort offering a full spa, multiple pools & a bistro. Well-stocked wine shop featuring a large variety of vino plus a tasting bar for ciders, ales & more. The Café de Flore is one of the oldest and the most prestigious coffeehouses in Paris. Fahrenheit is a non-profit initiative dedicated to research and creation in the field of contemporary art. 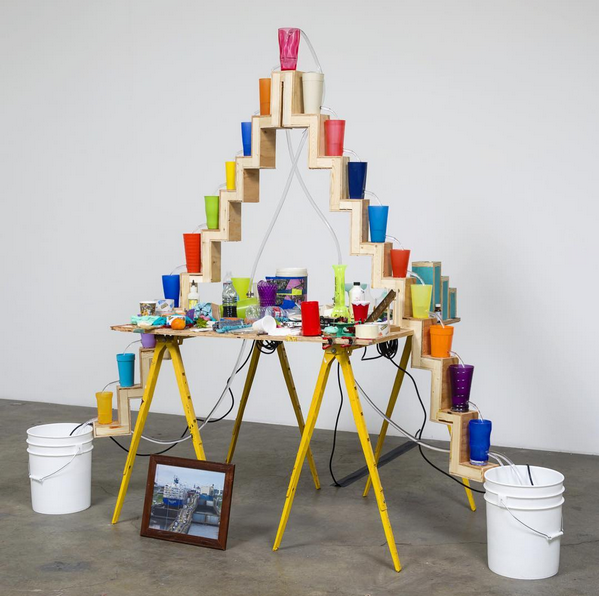 Conceived by Flax Foundation and developed by director and curator Martha Kirszenbaum, it is an interrelated residency program and a space dedicated to exhibitions, performances, film programs and talks. It supports the exchange and integration of France-related artists, curators and critics with a particular emphasis on outreach programs in communities within greater Los Angeles.